How can I use the templates that I have? 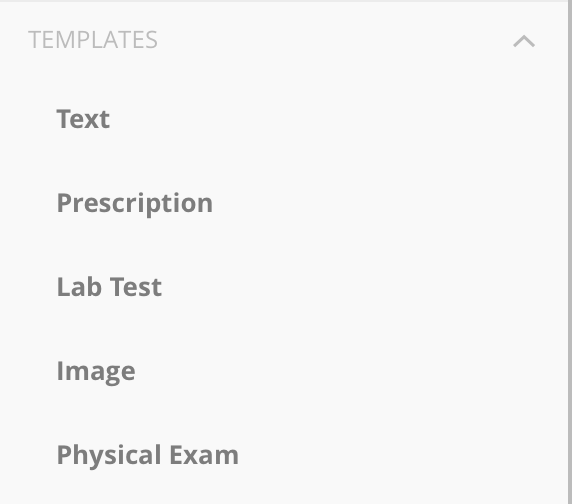 If you have a usual template that you use regularly, be it an image that you show to patients, a form, a letter, an admitting order template, a group of labs you normally let your patients do, a group of medicines that you normally prescribe, a set of medicines that you prescribe to specific patients, etc. 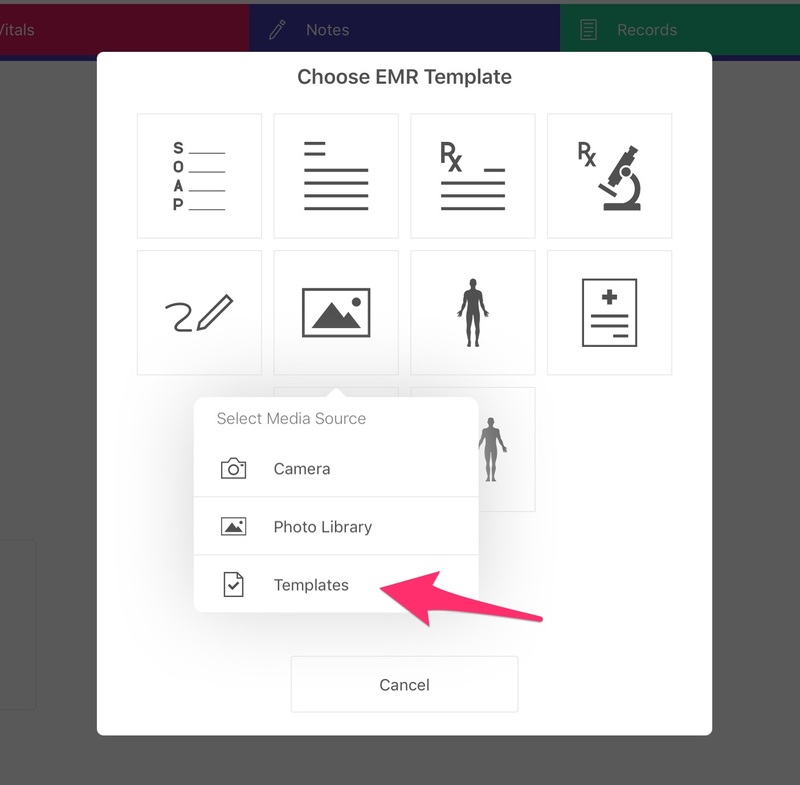 - you can just go to Settings on iOS or web app - under "Templates" you can select the template type that you want to save. All it takes is one tap/click.